Many foreigners come to Kolkata each year and they want to know the rich culture of our country and want to know the people more by learning their native Bengali language. 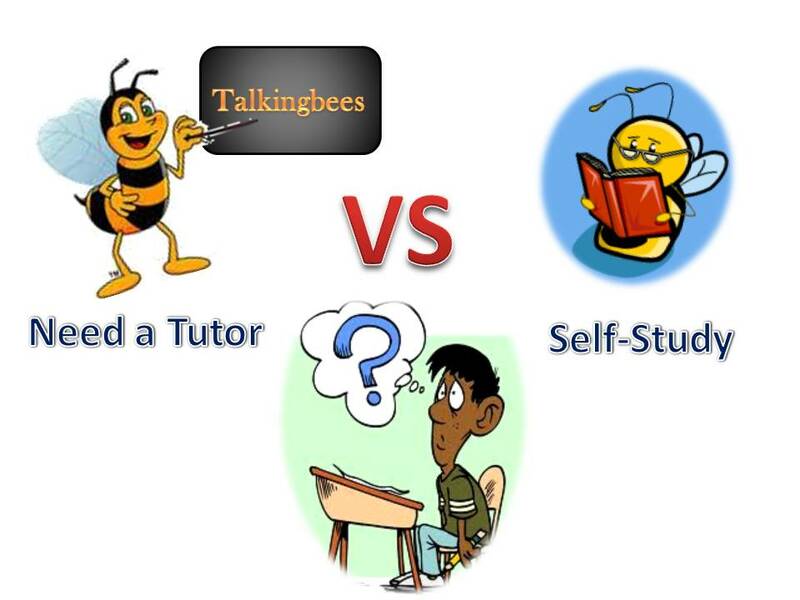 At Talkingbees we have taught many foreign students from USA, Europe, Switzerland, Australia etc. And today we had one student from Japan. He has come to Kolkata to visit Pandit Ravishankarji's birth place. He was also interested to attend a Bangla class at Talkingbees. So he booked a face to face Bangla class with a Native Bengali teacher at Talkingbees. As an immediate effect of the Bengali lesson, I could understand that in the Metro the first language in the announcement was Bangla followed by Hindi and English. Many thanks for your well prepared Bengali lesson, it was not long while quite effective covering a tourist's needs. 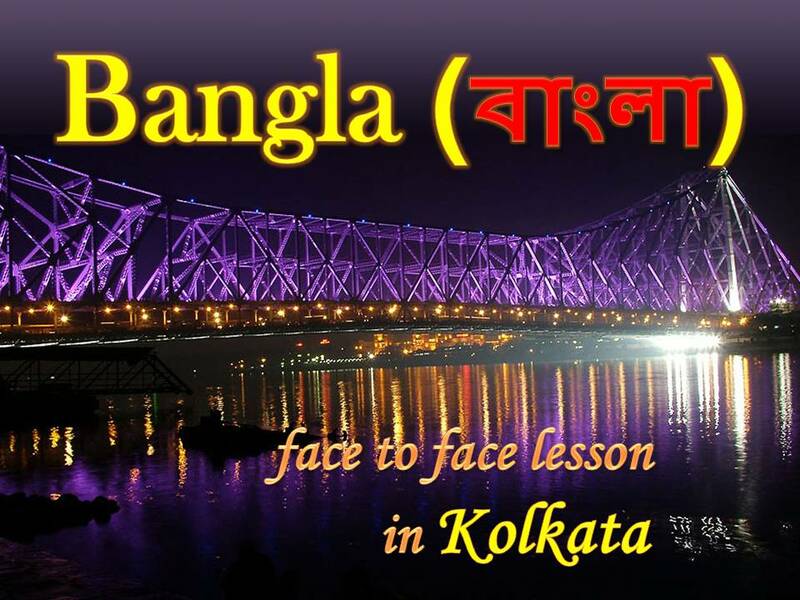 If you are thinking to travel to Bengal and want to experience a few Bengali lessons during your stay over there, Talkingbees is one, who can fulfill your wish . By learning a little Bangla you can feel yourself more close to the Bengali people and you can understand them better. How is the Bengali (or Bangla) course? The native Bengali tutor at Talkingbees structures a course fully based on your need and that you serve the purpose of your visit also. Your Bangla teacher will customize the lessons based on the places you are going to visit. And at the time of your Bengali face to face lesson you and your Bangla teacher will play the roles. For example you are a customer and your teacher is the shop keeper. Your Bangla teacher will tell you how to talk to them, how to bargain or how to say thank you after you are done. Not only that you will also know how to talk in the restaurants, hotels or how to speak Bengali to a taxi or rickshaw driver or anyone else. How long is a Bangla class? The lesson duration depends on your need. If you are going to have a short trip then you can take one day lesson for 4 hrs or daily 90 minutes classes. And if you are going to stay for longer time then we can have face to face weekly lessons for learning Bangla at my place in Kolkata. I think I need help in SEO for my website after Google changes it's algorithm .I mostly lost the traffic from Google search engine.And I am unable to fix it.So I am searching for a free lance who has knowledge on this things.I hope I will find someone affordable and dependable and who will be able to fix my Talkingbees Bangla and Hindi learning site. I wrote about this student before.He has started learning Bengali when he was in the 6th standard.Now he is in 9th grade.When he has started learning Bengali he knew only a few words and now I an happy and proud to say that he can speak,read and write Bengali (Bangla) on his own. Isn't great!! And he also enjoys learning Bangla. He is a very old student of mine.And during my New York visit I went to meet them in 2010.They were so nice to me and I enjoyed the couple of days I spent there. This morning in the Bangla class,he was reading a Feluda story.Yes he can read Bengali.Though he reads really slow but important fact is he can read Bengali :) .At the time of reading the story,he said he will imagine a story and next day he will write that in Bengali.I am very much excited to see what will he write.I know he will end up with a very few Bengali sentences.But I always be happy to see his improvement day by day and his interest in learning Bengali never decreases. "Happy Diwali" to all.Wish this week will be special and bring lots of happiness for you.You would enjoy the week with your family and loved one. 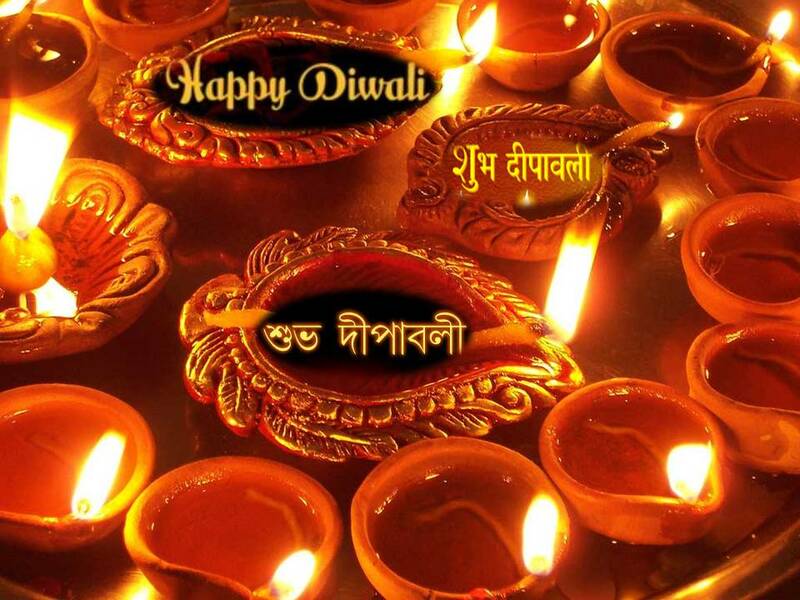 This is a festival of lights.In Hindi we say "Subh Deepavali" ( शुभ दीपावली ).In Bengali we say "Shubho Deepaboli" (শুভ দীপাবলী ) . How to speak Bengali (or Bangla)? I just made a video where you can learn "How to speak Bengali (Bangla)?" when you are doing shopping in the market.How will you ask to buy something,how will you say the price in Bengali,how will you bargain in Bengali etc.I hope you will definitely like it.Take a look to my free Bengali(or Bangla) learning video. Learn "How to speak Bengali in market?" Please feel free to ask me questions on this,you can leave your comments on my Talkingbees YouTube page also.And if you want to learn Bangla from an online Bengali/Bangla teacher then contact Talkingbees through our Contact us page. Today I am making a list of the Bengali Learning Videos , if you are searching "How to Learn Bengali" and "How to Speak Bengali" or "Bengali Tutorial" ,here is a Bengali resource for you. All over the world there is a great need of linguists as they help you out to understand some people where no one else can understand or handle those people who doesn't not know any other language than their native language.These days it's very good for a person who know more than one language.If you know more than 2 languages then it's great you can work as a translator or a interpreter in any job.Then you will be appointed to handle the people of your language or community. Here is a GOOD NEWS for all Bengali parents overseas!! This summer you can teach your Kids Bengali from your USA,Canada,UK,London home.These three months will be enough for them to Learn the Basic Bengali.And then if you see that they are quite interested to learn Bengali then you can continue later through Individual Bengali Classes via Skype. This year 4 kids from California are going to start their Bengali Summer course from June.If you are also searching for a summer course to engage your kids then just BOOK this Bengali Online Course and allow your kids to Learn Bangla.Contact me for more details about this "Bengali Language Summer camp for Kids" .The Bengali Course Topics are written bellow. BOOK this Bengali Online Course NOW!! 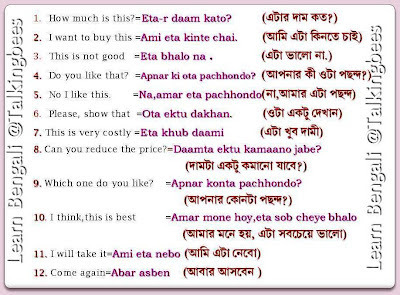 Today I am thinking to tell you a few useful phrases in Bangla. For example How do you say "I want to buy this","How much is this" or "I like it ". If you go to Bangladesh (Dhaka) or West Bengal (Kolkata) , you may need to buy something and probably you need some phrases in Bangla or at your nearby Bengali or Bangladeshi store you may try to speak some Bangla. 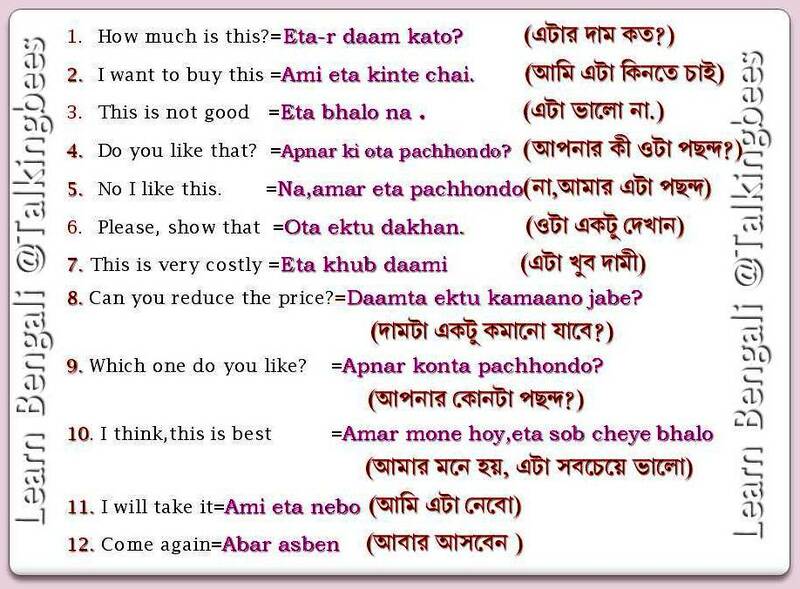 So learn these Bengali phrases and surprise others. Basically these useful Bengali phrases you will need in Market.This time I have written the Bengali script too.So here Learn to speak Bengali. Contact Talkingbees.com if you want to Learn Bengali Online.Feel free to comment below . There are many Online Language courses available.And now foreign language test is a parameter what says your proficiency level in the language.These days it's important for your job.If you have a good proficiency level in one or two ethnic languages then you have better opportunities , you will have more surety and scopes in your job and deserves a better position and a GOOD SALARY!! Who don't want this surety in there life, a better job, a good salary. As India is developing and growing very fast and Indian people are all over the world, the interest of Learning Hindi is increasing day by day. I have prepared few Hindi Language Students for the Hindi Language Test.Five among 6 has chosen as Foreign Service Officer.I tried my level best to help them to reach a good proficiency level but I must say they were so good and hard working gave a lot of effort to become fluent in Hindi. I helped and encouraged their Hindi Speaking Practice,that was most important as the test in mainly on the Hindi conversation on normal daily used topics and where you have to express your thoughts and participate in the Hindi conversation in a very natural way. 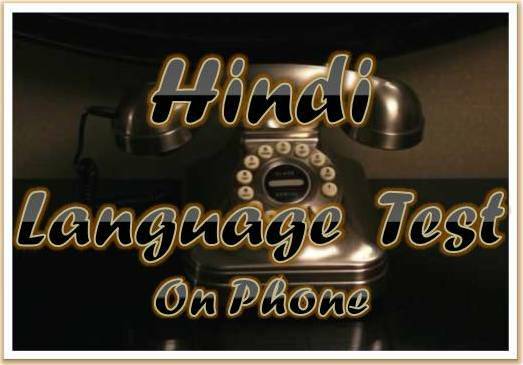 For the Hindi Language Test I have prepared a few students,they were from Washington, DC, Chicago, New York, Dallas, Boston.I am just uploading a video of one Hindi student who has now passes the Hindi Foreign Language Test and has become a Foreign Service Officer.To learn Hindi Online or to practice Hindi Conversation for the Hindi Language test contact Talkingbees. I am making many Bengali learning videos for Bengali learners in USA, UK, London, Australia and Worldwide.You can watch those at my Bengali Podcast Channel or YouTube Talkingbees' Channel . I hope my videos are helping many people to Learn Bangla Online for free. 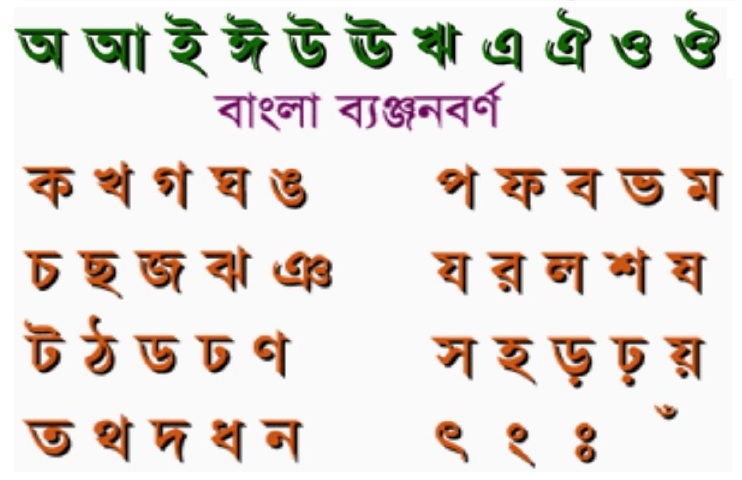 There are some videos where I taught "How to Read & Write Bengali" .You can learn Bengali Numbers and also others. Last time I made 1-2 videos about "How to speak Bengali" where one of my viewers requested me to record a video,where I will show how to read bangla using Sahaj Path (সহ্জ পাঠ).So I made one video where you can learn to Read Bangla and bangla vowels.I hope you will enjoy it. For more information on Learning Bengali Online contact Talkingbees. 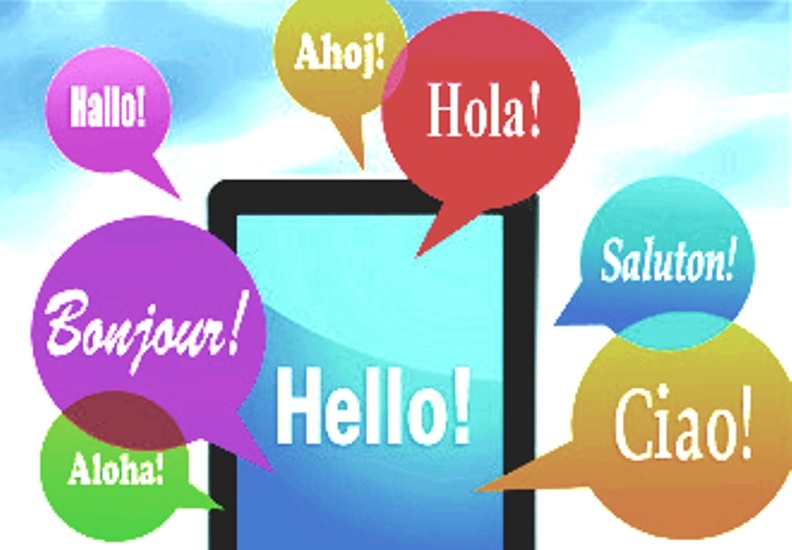 I have been using my website Talkingbees.com for a long time ,but just recently I was having some technical problems with it and so I am again late to make another post to my blog.As you know I am teaching Hindi and Bengali language online and offering Online Hindi ,Bengali Classes for more than last 5 years.I taught many students from USA,UK,(London) , Switzerland,Brazil etc. Sometimes when I just sit alone I think about many funny incidents of my students.Just for example.Recently I have started Online Bengali classes with a student ,lives near Manchester ,who is very fond of my mother tongue Bengali and Bengali food.And there is a Bengali grocery near his house.He thought to try something new in there shop and bought a better melon and made a green salad.....Now you can think about his face when he ate it and if he likes it .I seldom try a better melon , even I try I fry it very well and then eat. ohhh so bitter and he ate it raw .Can you imagine? Anyways now Lets Learn Bengali through Online Bengalipodcasts at Talkingbees .Here is a video to Learn Bengali Pronoun.